Clinical psychologists Stephen Nowicki, Jr. and Marshall Page Duke decipher the hidden dimensions of social rejection. ";Includes bibliographical references (page 167-168). 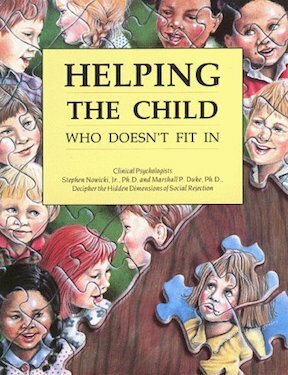 Argues that many children who cannot seem to fit in and make friends are suffering from an inability to use and understand nonverbal communication such as facial expressions, postures, gestures, interpersonal distance, andtone of voice; and offers advice to parents and other adults on how to help children correct the problem, or know when to seek professional help.